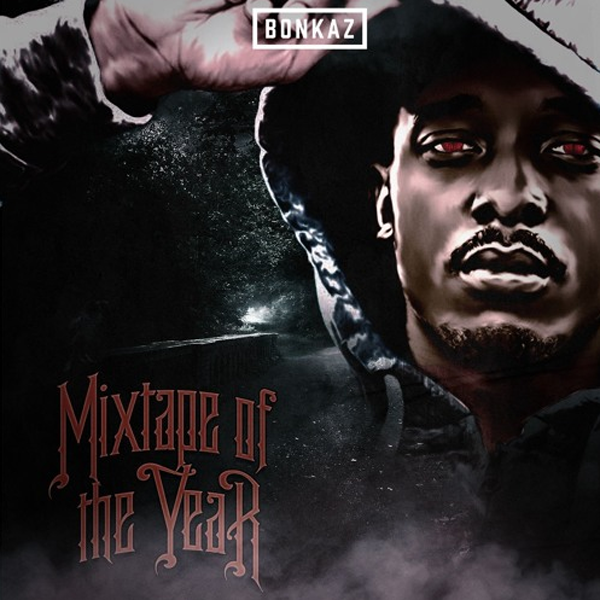 Bonkaz had a big 2015. We premiered his debut track “We Run The Block” in April, and it was only up from then on for the London artist. He dropped new music regularly—including a Chase & Status collaboration, a love song, and a Dizzee Rascal-sampling banger—and best of all, he headlined our first ever No Ceilings show in London. He’s not slowing down this year either, and Mixtape of the Year is proof. Over 11 tracks, Bonkaz goes in, and while your eye might be immediately drawn to the Stormzy collaboration “And Dat” or the Chase N Cashe-produced “Paid In Full 2,” the whole project is incredibly consistent. Long story short, Bonkaz can spit, and his beat selection on this project is on point too. Listen to Mixtape of the Year below, and make sure you check out “Run Out The Ends,” which we’ve been waiting for since August.